We aim to make it very clear to them while they make decisions on the Heads of Bill and vote this and next week that the constituencies and country they come from want legal abortion and the legislation that makes that possible. Below we have sample tweets, posts, emails, and messages you can send and clinic hours where relevant. (And check out the past days of the *Tell A FG TD* campaign) Join us in sharing your views with the Minister for Health, James Reilly. It’s not just the government watching over Reilly’s shoulder, we have an eye on health too. 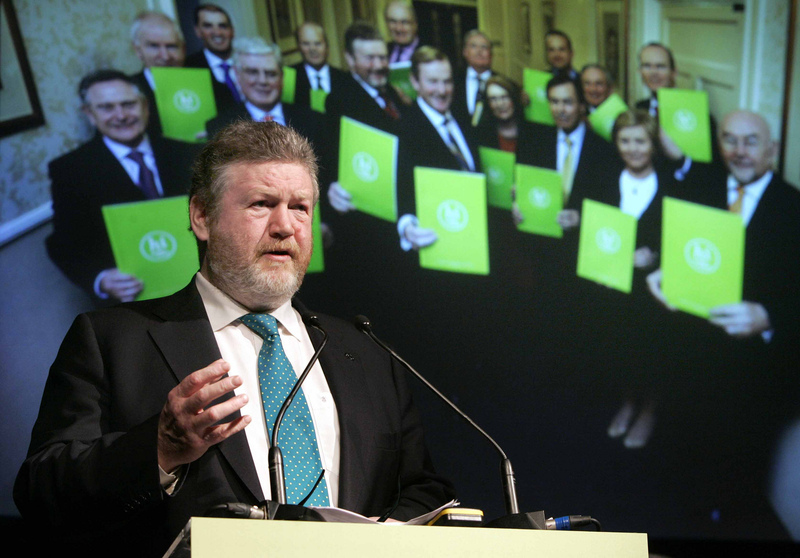 As a member of Fine Gael and Minister for Health and Children who introduced the current Heads of Bill himself, Dr James Reilly needs to know from the people he serves just how important real, powerful legislation for abortion is. As the week goes on we will focus on Fine Gael TDs from different areas, with different views but our main message is the same: We want legislation for abortion, legislation that provides for the health and rights of women without jumping through hoops and proving we really need procedures. Minister Reilly said this legislation strikes the “right balance,” but women’s lives do not need political balance, women need the best medical attention when they need it, how they need it. And we want James Reilly to make sure we have better legislation than what has been proposed. We want real abortion access. Example Message: I am ringing to let Minister Reilly know that access to abortion in Ireland is important to me. I want the rights and health of women respected. I want abortion in Ireland, and I call on Minister Reilly to draft legislation that provides for the health of women in the country without bureaucracy and complicated contingencies. I am writing to inform you that access to abortion in Ireland is important to me. I want the rights and health of women respected; I want abortion in Ireland. This isn’t politics; this is about health, so there should be no, as you put it in announcing the Heads, balance to strike. I call on you, Minister Reilly, as an elected official and physician to hear the thousands of men and women who want legislation on abortion without bureaucracy and complicated contingencies, to hear the thousands of women who have risked their health and livelihoods to travel, and to enact legislation that makes abortion safe and accessible for women in Ireland. Come back tomorrow for Day 6 of Tell a Fine Gael TD.